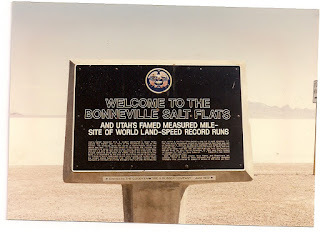 Just what the sign says...."Welcome to the Bonneville Salt Flats". A semi-rest area/wide spot on I-80 west of Salt Lake city a few miles before the Nevada State Line. It was a perfect day for a few pics. Clear and cloudless sky over head, though off in the distance the building of perhaps a summer thunderstorm for later in the day? 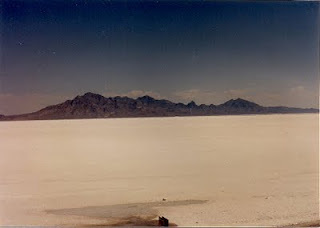 I couldn't stay to wait and see, I had to go... was on my way to Fremont, CA. toe-tally cool. or should i say hot?